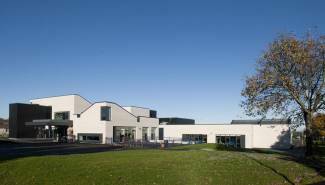 Ogilvie, as part of Gateway Falkirk, successfully undertook the Design and Build of Denny High School as Main Contractor. The building was a 3 storey, secondary school accommodating 1600 pupils. 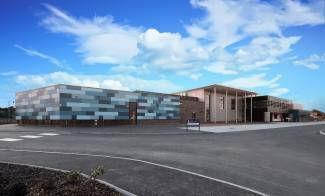 The project was part of the multi-site contract: Falkirk Schools PPP and was completed on time in line with the contract programme period of 89 weeks. 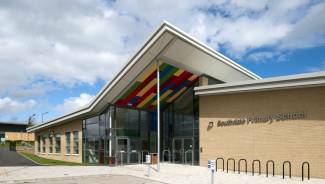 The sports leisure facilities included a swimming pool, games hall, gymnasiums, dance studio and fitness suite. Externally a grass football pitch, All-Weather Pitch and a MUGA area were provided. Extensive parking and hard and soft landscaping were provided. Denny High School was the first of the schools to be completed and gain a BREEAM rating of Very Good in its final assessment. Standardisation of room height to use full plasterboard sheets with no cutting/waste.